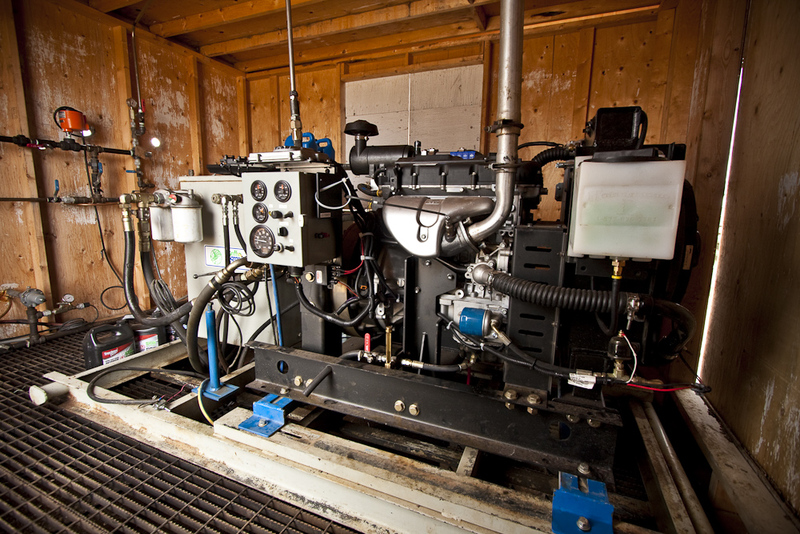 The Westport Engine featured at GLOBE 2012 is not the typical Cummins-based HD workhorse with which we’ve been traditionally associated. Instead, it’s the 2.4L Juniper Engine from the Westport LD industrial team, a spark-ignited, multi-port injected propane or natural gas engine. 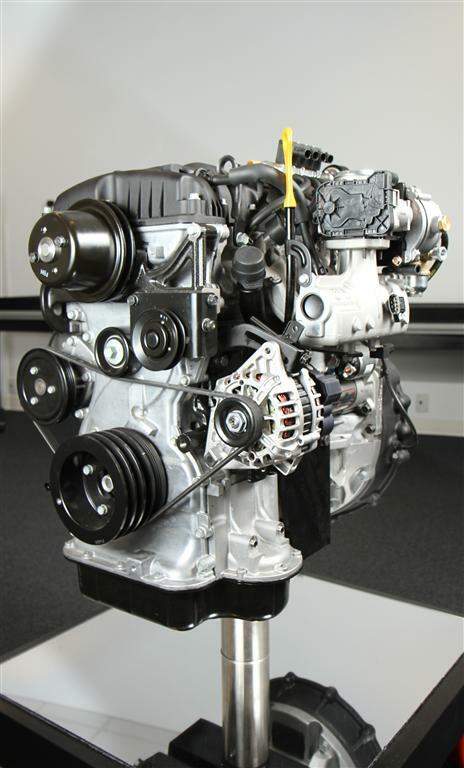 This 75 hp, 140 ft-lbs powerplant uses a Hyundai 2.4LiIndustrial engine platform, which is essentially the same block and head as a 2.4L Theta engine found on the Hyundai Sonata and Kia Optima. Differences include a cast-aluminum intake manifold, the lack of a variable valve timing system for simpler and more robust operation, and hardened valve seats. Fuel system components from OMVL S.p.A., a Westport company, are used to fuel the engine. Development of the fuel system for the engine began in early 2009, and by mid-2010, the first complete Westport LD Industrial engine assemblies were rolling off the line from our assembly center in Busan, South Korea. So far, this engine is used on over 2,500 Clark forklifts worldwide on their IC-line of trucks, from their C15 model to their C35 line. They’ve reported a significant increase in fuel economy when compared to other engine platforms they’ve used in the past with similar displacement. Also, drivers have reported better performance compared to previous Clark trucks, all while remaining below the strictest Tier 4 EPA emissions levels for large spark ignited off-road engines. Wow I have never seen an engine that huge! 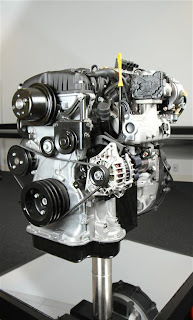 So that is what an engine looks like in every new forklifts. (United) Way to go, Westport!